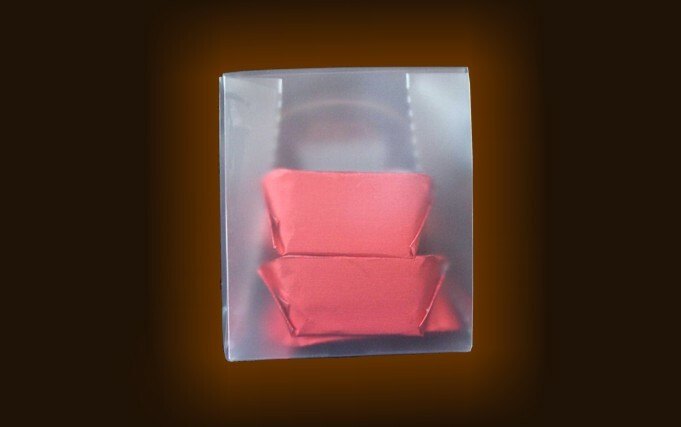 Small bag-like box in glazed acetate containing 3 Giandujotti. Security seal on closing flap. Label showing technical details as required by current regulations is on the bottom side.